The spider is one member of the "pest control" team that you will meet in Do Unto Animals. A lot of the time we don't give this creature the credit he deserves - not only for his work keeping our garden pest free, but for the detail he puts into each and every web that he spins. Some spider families controls our insect population by strategically placing their webs on our plants and trees to capture insects who crawl upon them. Each species of spider weaves its own individual web pattern and careful observers can tell exactly what kind of spider has made each web by looking at the pattern that’s been spun. Spiders may not have the best reputation but they are helpful creatures with amazing skills that protect our plants. Their webs are intricate and detailed and should be respected when spotted. 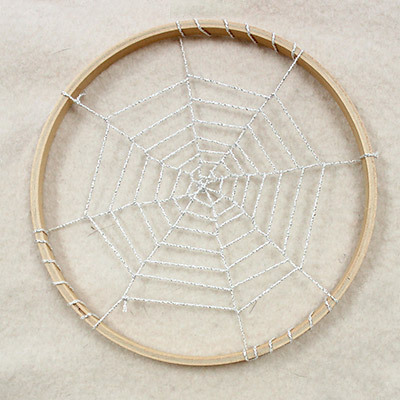 Our craft contributor, Jodi Levine, has crafted a spider web of her own and used it to make a dream weaver! We like to think that if we hang it over our bed it might help to capture our bad dreams! Thanks Spidey! 1. 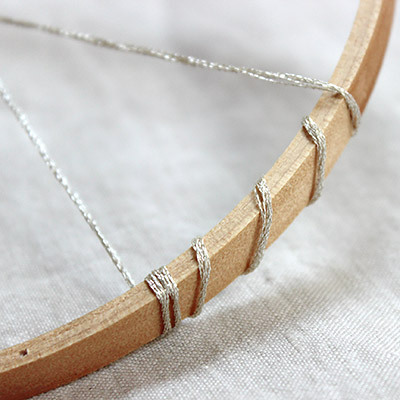 TIE one end of your silver thread to the top of the embroidery hoop. 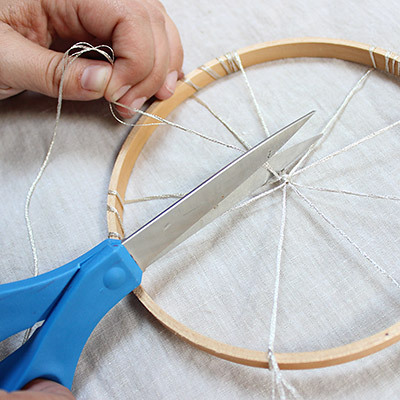 STRETCH the thread across to the opposite side of the hoop and TIE a small knot. Now you have made the first spoke. 2. 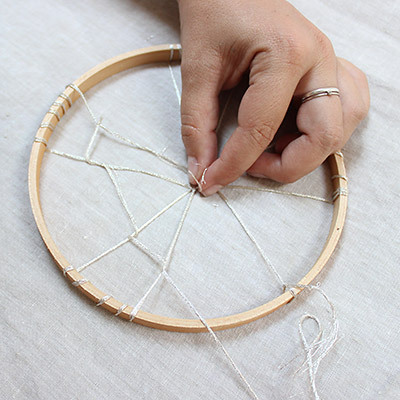 TWIST the thread clockwise around the embroidery hoop for two-inches. 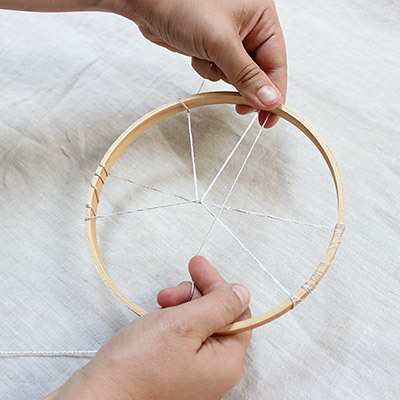 STRETCH the thread back across to the opposite side of the hoop, crossing at the intersection of the first spoke. 3. TIE a small knot around the edge of the embroidery hoop. Now you have made the second spoke. 4. REPEAT steps 2 &3, continuing in a clockwise direction. 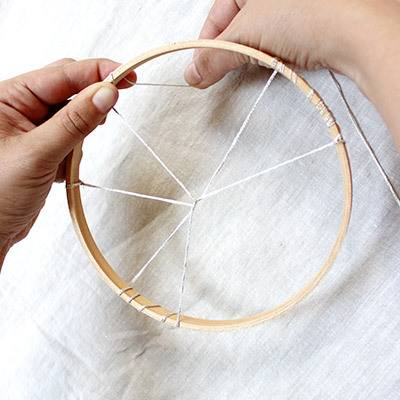 Twist the thread along the hoop, stretch it across the to the opposite side and tie a knot to make your spokes. Repeat until you have FOUR spokes. 5. CUT the excess thread loose. 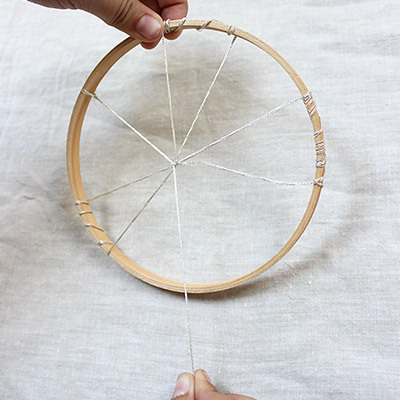 You should now have four spokes and eight triangles inside your hoop. 6. TIE a new piece of thread approximately 1/2 an inch from the top of your first spoke. 7. PULL your new thread in an anti-clockwise direction towards the second spoke. TWIST the thread around the spoke and REPEAT. Continue in an anti-clockwise direction, spiraling along each spoke until you reach the center of the web. 8. 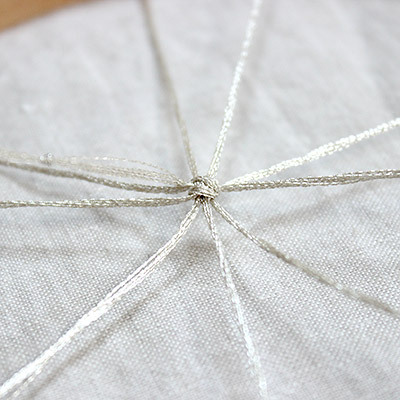 Once the web is complete and you have reached the center of the hoop, TIE the thread off with a secure knot. CUT the excess thread loose. 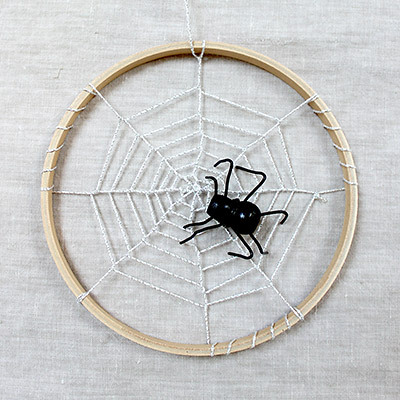 Now you have a spider web dream weaver! 1. GLUE two black beads together. Keep the bead openings in line with one another. This is the spider’s body. 2. CUT the wire into four pieces: two pieces should be 3-inches, two pieces should be 2-inches. 3. GLUE a 2-inch wire to the bottom of the front bead. Allow even pieces of wire to hang off both sides of the spider's head. These are the front legs. 4. TWIST a 3-inch piece of wire around the area where the two beads meet. 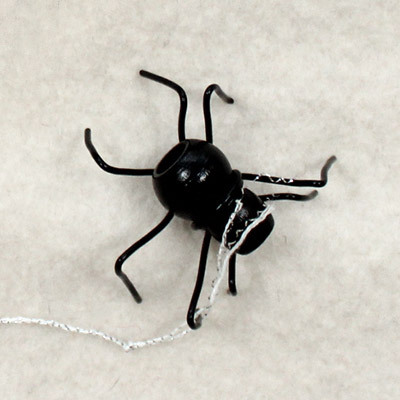 Allow even pieces of wire to hang off both sides of the spider's body. These are the second set of legs. 5. GLUE the middle of a 3-inch piece of wire to the bottom of the back bead. Allow even pieces of wire to hang off both sides of the spider's body. These are the middle legs. 6. FOLD a 2-inch piece of wire in half. GLUE the folded area inside the back bead. Allow even pieces of wire to hang out the back of the spider's body. These are the back legs. 7. BEND each wire slightly to shape the legs. Posted in: Animal Kingdom Companion Crafts Crafts: Make It! Don’t eat the pigs! -- unless your eating these adorable piggy cupcakes.